Gwen Moss: Salted chocolate lavender cupcakes with honey coconut cream and some exciting news! 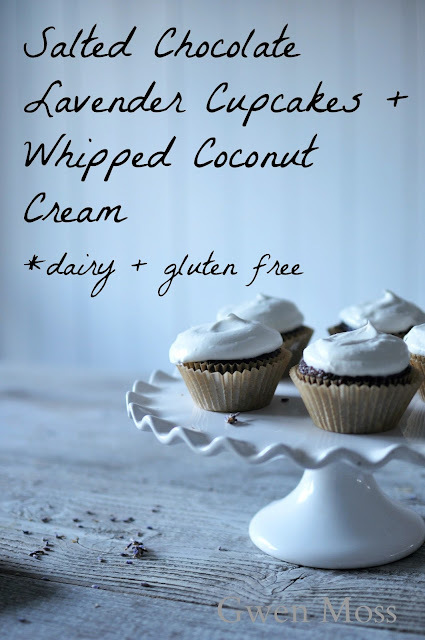 Salted chocolate lavender cupcakes with honey coconut cream and some exciting news! Today I've here with a delicious recipe to share with you but I've also got some exciting news too--a perfect little announcement for this new year. Let's begin by acknowledging that today is an official 'first' for me. Yep, not only is it my first-ever vegan recipe on my blog, but it's actually the first time I've made a vegan dish period. So of course it had to be a dessert. But wait-- here's the exciting part. I've been asked by my 24 year old to contribute a recipe-of-my-choice for his new organic food and beverage website and blog that's up and running, called Bodhi Organics. Although the company is very much in its infancy --with more products on the way-- Patrick's getting encouraging traffic from his Instagram and Facebook account and who knows, maybe from a few of his Momma's friends too. When it came to choosing my recipe I knew immediately that I wanted to share something from the kitchen of Elizabeth Kirby, the esteemed foodie, photographer and stylist of the enormously popular blog, Local Milk. I've been a follower of her exquisite writing and stunning imagery for years, watching her from afar as she navigated through vulnerable single life, fell in love and now has a new baby. So in a way, this feels like a serendipitous little match; introducing my son's budding dream with the recipe of a someone whom I feel oddly maternal. And because life is saturated by layers of stories, I should also mention that this delicate, lavender-infused recipe was created by Beth for her dear friends, Tiffany and her fiancé Kappel. And that tragically, Kappel died in the months that followed their visit with Beth, making this recipe even more infused with tender love. So here we go: in addition to this poignant back-story this cake itself is the bomb! Incredibly moist and flavorful, believe me, J had absolutely no idea he was eating a non-dairy, gluten-free product. 1. Refrigerate the cans of full fat coconut milk the night before or at least 5 hours before using. They need to chill completely for the frosting. 2. Heat oven to 350 degrees. Line a 12 cup muffin tin with cupcake papers. (Elizabeth lightly greases hers with a non-stick spray). 3. In a medium mixing bowl whisk together the flour, xanthan gum, baking soda, salt, lavender, sugar and cocoa powder to combine thoroughly. In a separate bowl combine the hemp seed milk ( I used coconut milk) coconut oil, vinegar, and vanilla. It's crucial the milk not be cold or the coconut oil with solidify. 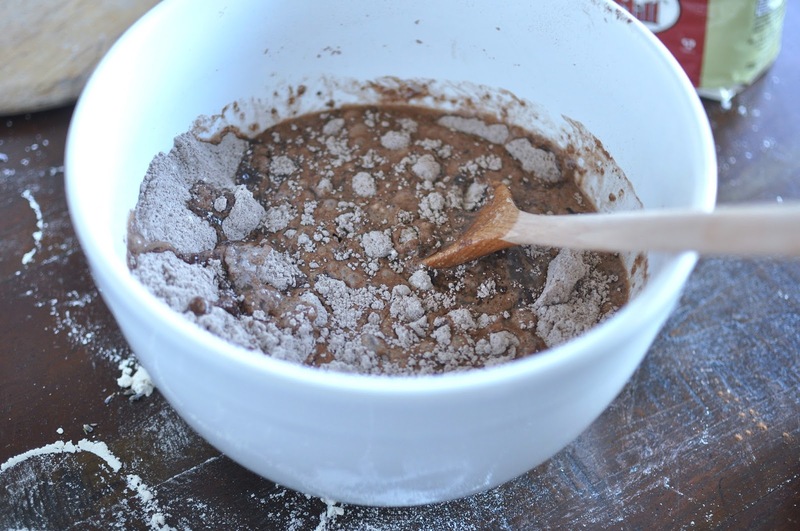 Pour the wet ingredients into the dry ingredients and mix with a wooden spoon to thoroughly combine. 4. Fill each cupcake tin with 1/3 batter, and bake for about 18-20 minutes or until a toothpick inserted comes out clean. It's shouldn't be wet. 5. Allow cupcakes to cool completely before frosting or it will melt. 6. While cupcakes cool make your frosting. Turn your chilled cans of coconut milk upside down and open them with a can opener. Pour out the liquid. Scrape the solids left into the bowl of a stand mixer. Whip with the whisk attachment until light and fluffy on high, add the honey or agave, and continue to whip thoroughly. Alternately you can use a hand-mixer. Side note: I got lazy and tried using only my hand mixer but it definitely didn't produce enough 'whipped' texture- I needed my standing mixer for this topping. Notes: I also tried a batch with regular whipped cream and if you're diet allows, these were amazing too. If you love the scent of lavender this is your recipe. 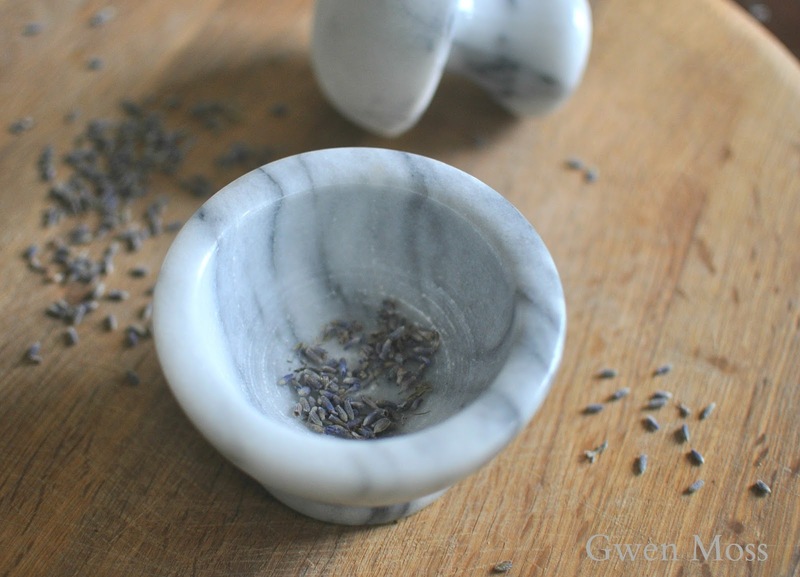 Crushing the tiny lavender buds filled my warm kitchen with this calming, aromatic scent, it felt like an added treat. I don't know about you but I've realized that aging well--with wonderful skin and a strong body depends on what I put in my body. And I've really noticed when I eat cleaner (less processed food) and drink my Matcha green tea, I just feel so much better. If you feel similar and you like recipes like this one, stop by and visit Bodhi Organics on Instagram or the blog, for more recipes and tips on a health and fitness. Or just stop by and say Hi to Patrick. The website is still being tweaked but I still wanted to share it with you because you've always been so supportive. And it's so nice have you--my readers--be part of this endeavor from the beginning. They look so good. I must try them. Congratulations to your son! I'm going to visit his blog and IG. These cupcakes look delicious and you have photographed it in a book worthy way. Wonderful! Your post is very touching in so many layers and ways. Best wishes on your son's success with his endeavor. 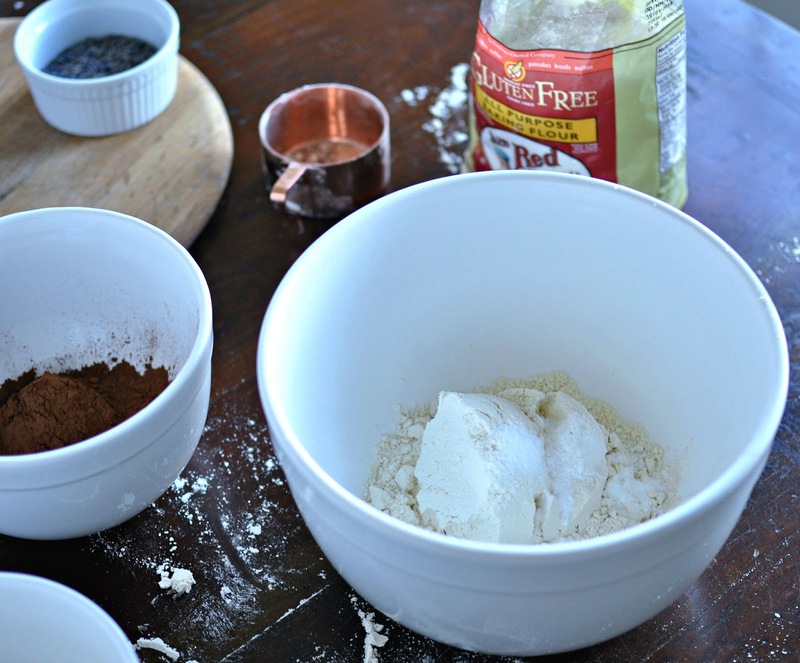 Great recipe too and I'm pinning and sharing. Love that you son is also starting his blogging adventure. The cupcakes look wonderful, Leslie! The new blog and website are beautiful...the header photo on the website landing page is gorgeous! WoW! who did his branding and website? its gorgeous! good for him!!!!! blessings to his new business! what a beautiful cupcake with so many awesome flavors. I read your post yesterday, but forgot to comment because I went over to the Bodhi website. How exciting that everything is coming together. You make this look so yummy! I am salivating - they look like they should be on the cover of a magazine. Have a wonderful weekend, Leslie!